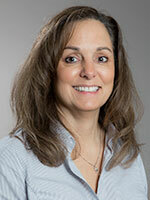 Christine Martino, PT, is the regional director of Hartford Home Care Rehabilitation Services. She joined Hartford HealthCare at Home, formerly VNA Health Care, in 1996 as a pay-per-visit therapist and transitioned to rehabilitation supervisor of the Waterbury region. After a brief hiatus, she rejoined the Hartford HealthCare team in March 2017. In this position, she is responsible for the oversight of four homecare branches across the state with more than 200 physical, occupational and speech therapists. Ms. Martino is a graduate of Northeastern University with a Bachelor of Science degree in Physical Therapy.